In a world full of similarly priced compact luxury crossovers, one way to differentiate yourself is with what’s under the hood. 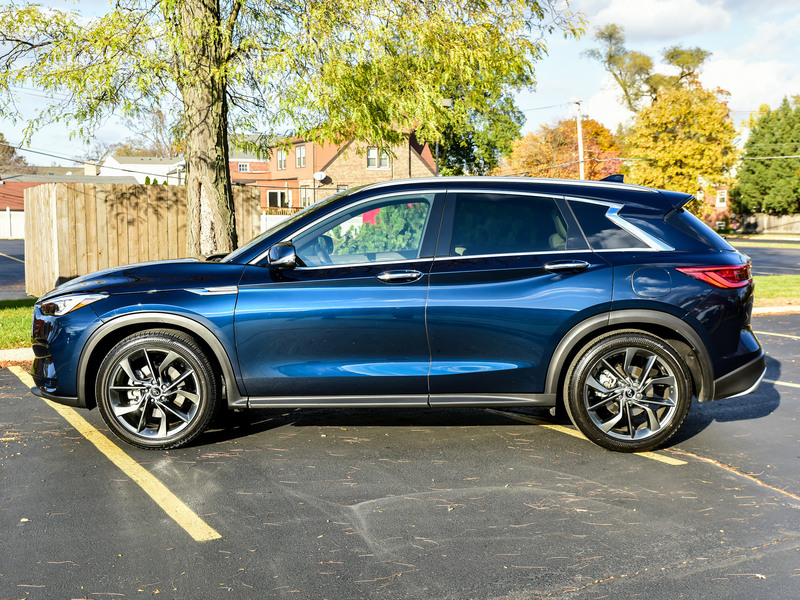 That’s the approach Infiniti has taken with the all-new 2019 Infiniti QX50. What might otherwise be yet another $50,000 crossover becomes intriguing if only because of Infiniti’s brand-new VC-Turbo engine, and the QX50 is the first vehicle in the carmaker’s lineup to be powered by it. As the name implies, the VC-Turbo uses different compression ratios based on driving conditions. The compression ratio describes the volume of an engine cylinder when the piston is at the top versus the bottom of its travel. The higher the compression ratio, the more thermally efficiently the engine can run. But the turbochargers that are all but omnipresent in today’s two-liter engines don’t play nicely with high compression ratios, because the combustion can become erratic and possibly result in engine knock (unwanted detonation of the fuel-air mix).